It started with a Google search. Although I had read several books about the hauntings around Wilmington and Pleasure Island, I hadn't taken much time to just peruse what the online community had to say about the Carolina Beach area specifically in terms of spooky happenings. The first website that came up was Ghosts of America. 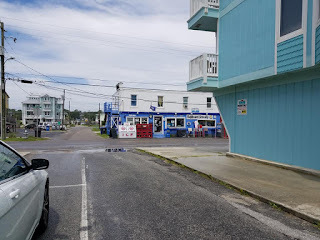 Now, this isn't necessarily a site I would recommend to a serious researcher, but I've found some pretty off-the-wall stuff posted on there for West Virginia, so I wasn't too surprised to read what someone had submitted for Carolina Beach. 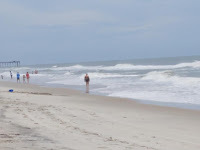 *A full-bodied apparition wearing a gray hoodie, which flapped in the breeze, come up out of the surf and head towards the lifeguard stand before disappearing. *Seneca Guns---strange, unexplained booming noises that seemingly come from the ocean. These are heard throughout the Carolina Coast and I'll be dedicating a special blog post to them later on! Pretty crazy, right! 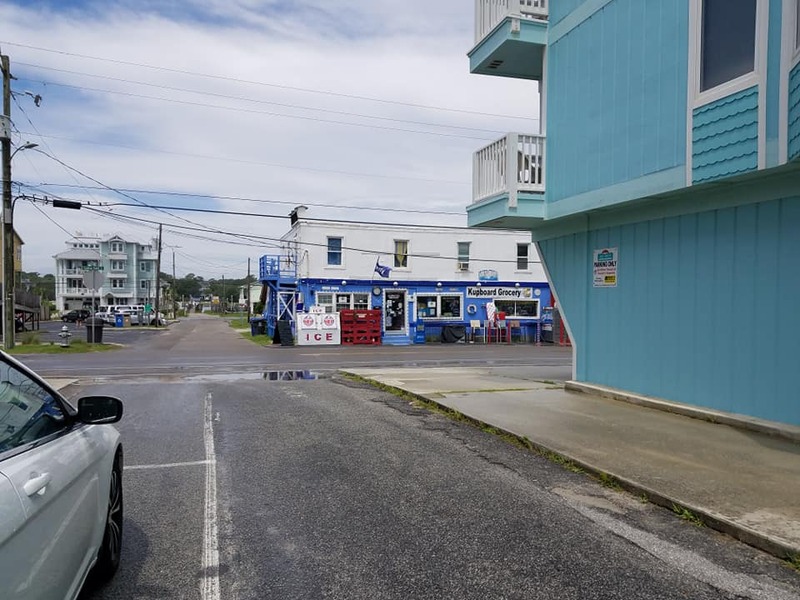 That's a lot of stuff to happen in one little stretch of beach, so I knew we had to go. 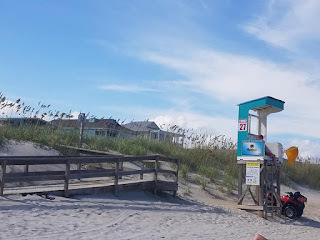 Our main access point to the beach was at the boardwalk, since it was near our rental house, restaurants, etc. But, this location was actually sort of a hidden gem. We easily found the place the person from the ghost site was talking about. When we got there, there was only a few public parking spots, but they were all empty. The walk to the beach was nearly level and we had the majority of it to ourselves. Seriously, there were only about 3 other families there when we arrived. Unfortunately for me (because I'm a weirdo) nothing weird happened during the 4+hours we were there. But, we actually had a pretty cool time. 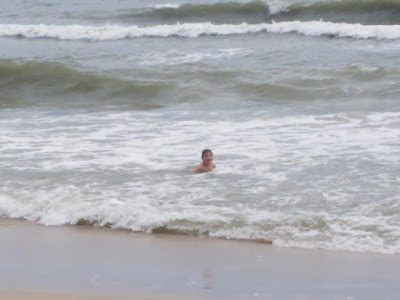 My son, Luke, enjoyed collecting shells, building sand castles, and testing himself on how deep he could go out into the surf without me freaking out. I stayed where it was pretty shallow since the waters were kinda rough from all the recent storms we had, but I had a fun time. 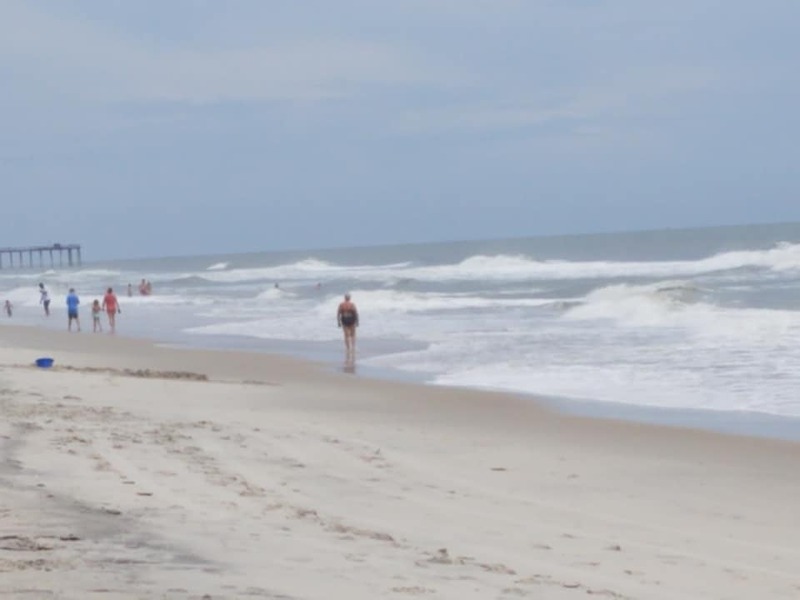 And while I'd like to remember this stretch of beach as being 'that haunted beach we went to,' I'll remember it instead as the location where I got the worst sunburn of my life!